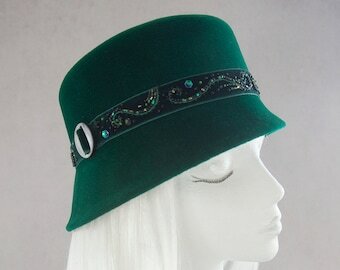 Bottle green fedora with a vintage silk ribbon cockade. 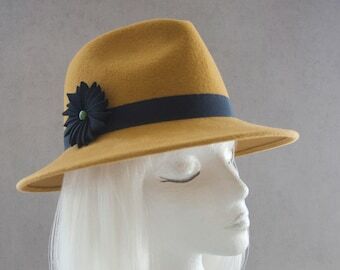 Vintage-style ladies' fur felt hat. 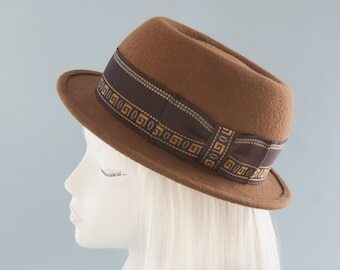 Inspired by the hats of the 1930s and 1940s, but with a more contemporary style. 100% fur felt. 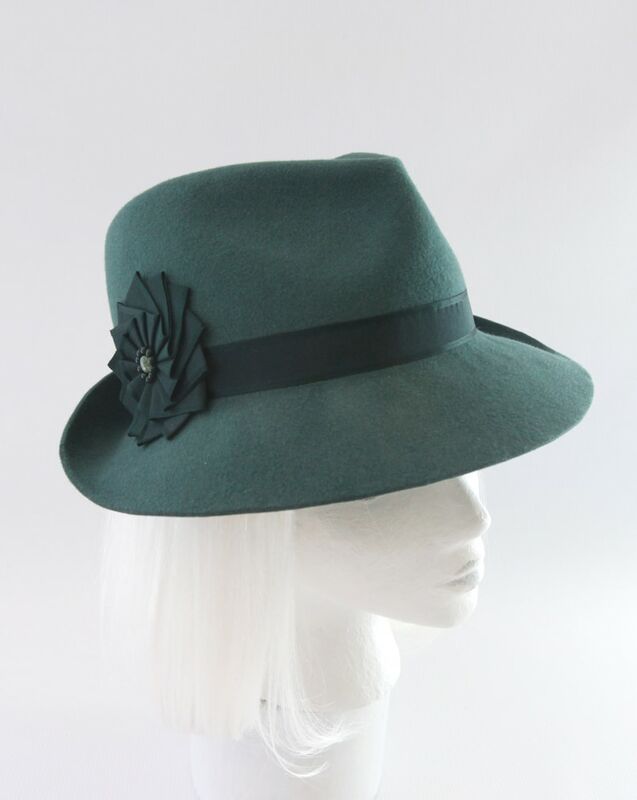 This bottle green hat was blocked by hand on a wood hat block. 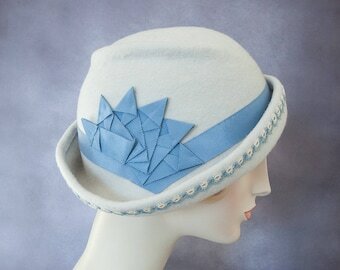 The crown and brim were then additionally shaped by hand (an asymmetrical shape that can never be exactly duplicated). Trimmed with a band and a ribbon cockade in a gorgeous dark green vintage silk ribbon. The center of the cockade is then accented with semiprecious beads: jade surrounded by green goldstone. 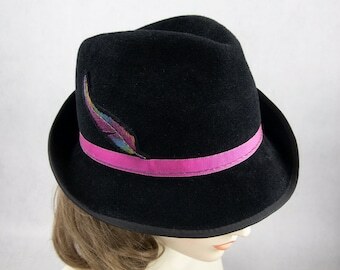 Inside is unlined and is finished with a black grosgrain headsize ribbon and Silverhill Creative Millinery label. 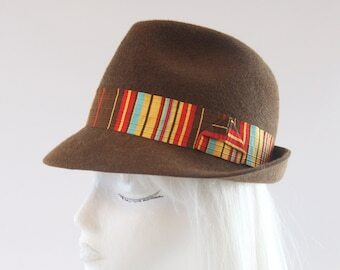 Best fits head size of 22"-22.5" (average women's size).